Im so proud of my Princess +Briance’ T.(Saving The Youth Administrator) for being determined to be an Entrepreneur at the age of 13. 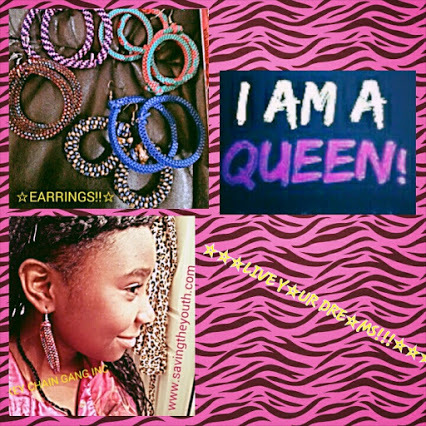 She is currently making earrings, Key Chains and jewelry to make and save her own money! Our children do more of what they see and less of what we tell them to do!! Posted in Saving The Youth Stars™Tagged Abundance, africa, black, dream, dreams, goals, happiness, happy, inspirational, joy, knowledge, learn, learning, Life, love, Motivate, motivation, motivational, Peace, positive, Prosperity, Proverb, spiritual, teach, teen, teens, wealth, wisdom, wise, words, youthBookmark the permalink.